A persecuted Iranian journalist who feared being deported back to his homeland has been helped in his battle to stay free by Bristol NUJ and the Exiled Journalists Network (EJN). The secretary of EJN has praised the support from the NUJ and Bristol branch which helped ensure that the journalist, Mehrdad Mahmoodi, was not sent back to Iran. 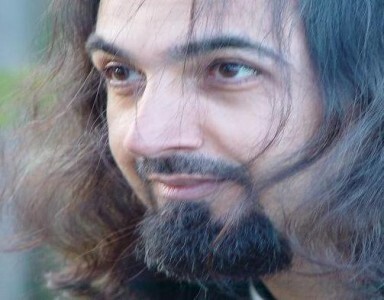 Mehrdad Mahmoodi had written articles seen as critical of an Iranian cleric. He was pursued through the Iranian courts and members of his family suffered persecution before he fled the country, ending up in Bristol at the beginning of 2009. Bristol is home to many journalists seeking asylum, partly because much of the work of the EJN has taken place in the city. There are strong links between the NUJ and the EJN. Sri Lankan Pearl Thevanayagam, London-based founder member and secretary of the EJN, said: “We have over 200 exiled journalist members and many have suffered persecution in their home countries. When they come to the UK they often struggle to get their voices heard. Founded in Burwalls House in Bristol’s Leigh Woods in 2005, with support from the Bristol-based media ethics charity the MediaWise Trust; and the NUJ, the EJN is the only media group in the UK run by and for exiled journalists. It appealed to Bristol branch in July this year when Mehrdad Mahmoodi was threatened with deportation. “Simon Chapman, the secretary of Bristol branch and the NUJ’s national legal officer, Roy Mincoff, were very helpful – they worked day and night to help Mehrdad,” said Thevanayagam. Mehrdad was eventually deported to Sweden, but was given reassurance that this should not lead to him being sent back to Iran. The Mahmoodi case has led to correspondence between Bristol branch and the UK Border Agency in Wales and the South-West Region with the aim that the EJN is informed of journalist refugees who are placed in the region so that they can be provided with support. From the start the Exiled Journalists’ Network has been represented on the executive of Bristol NUJ by NUJ member Forward Maisokwadzo, who also sits on the EJN’s management committee. Bristol branch includes exiled journalists from Congo, Palestine and Zimbabwe. At our most recent branch meeting we heard from a member of the Fire Brigades’ Union, who had been working with the ISM, about conditions in Palestine. With journalists putting their lives on the line all over the world and sometimes being shot and imprisoned just for doing their jobs, one of the NUJ’s aims is to support and try to protect our colleagues, in the interests both of their own safety and of international press freedom. As a union we are affiliated to the International Federation of Journalists. Earlier this month, the NUJ launched a major national project in conjunction with our sister journalists’ trade union in Zimbabwe (Read the full story here). At our most recent branch meeting, Bristol voted to support the campaign.